HT Media is an Indian mass media company based out of Delhi, India. 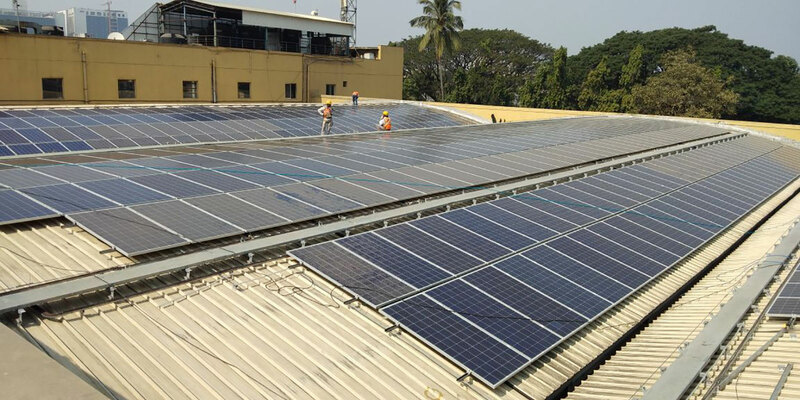 HT Media has partnered with Amplus to develop rooftop solar plant of 448 kWp and 499.80 kWp capacities for two of its facilities in Maharashtra and Uttar Pradesh. Amplus has committed to operate & maintain the rooftop facilities for a minimum of 25 years. The plant is expected to generate green energy equivalent to 13167 Indian’s annual electricity needs over its lifetime. Furthermore, the plant reduces CO2 emissions of 14079 tonnes over the project’s lifetime.